Wow! The response to Judy, our full-size black mannequin loaded with Pick Up Sticks, has been incredible. We never knew that adding a loaded Judy to our catalog would be such a great idea. If you missed our post on Judy, check it out here. Because of the overwhelming interest in Judy, we decided we’d better add a loaded Jewelie to the mix. 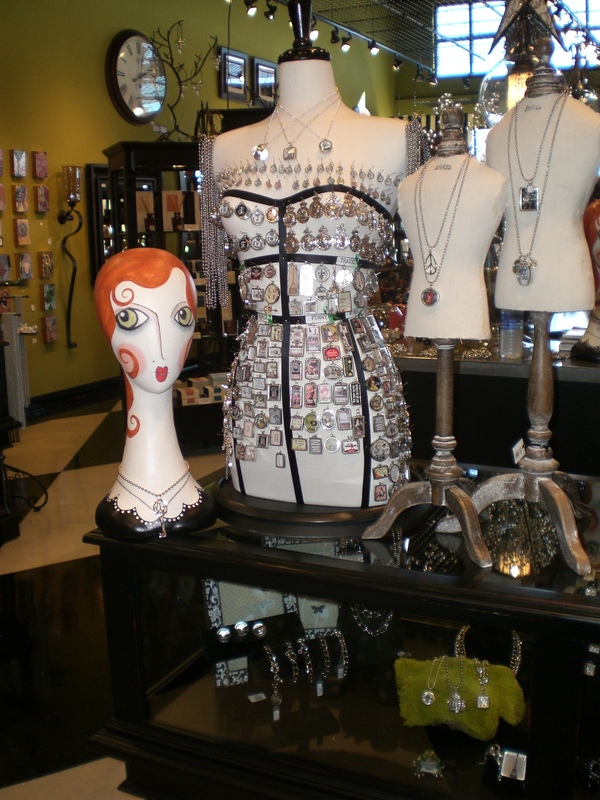 Jewelie is our 20 inch tall counter-top mannequin. Think of her as Judy’s little sister. Equally as eye-catching, just not quite as big. 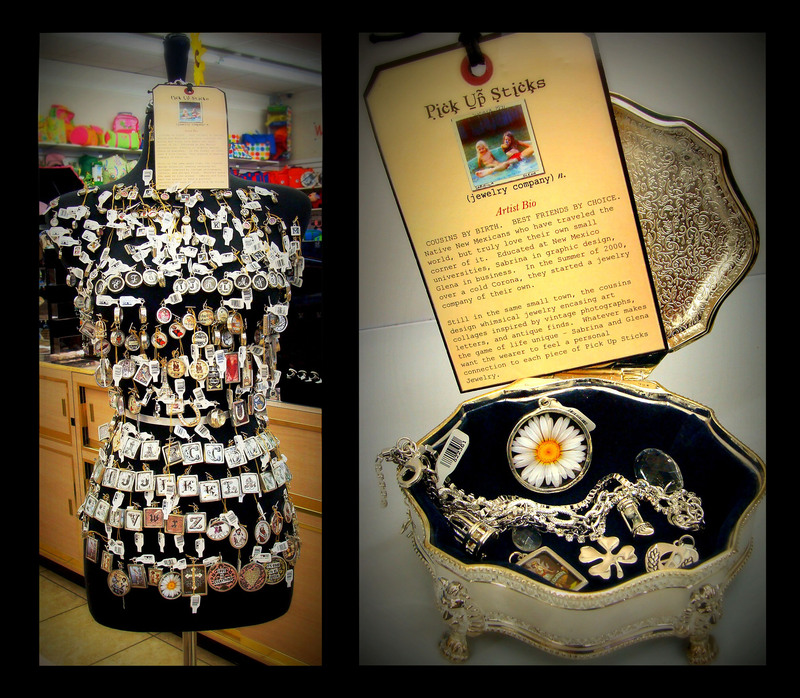 If you don’t have space enough for Judy, order a couple of Jewelies to grace a tabletop or counter. Or consider her as an add-on to your Judy – a complimentary bust form loaded with Pick Up Sticks that will create even more interest. 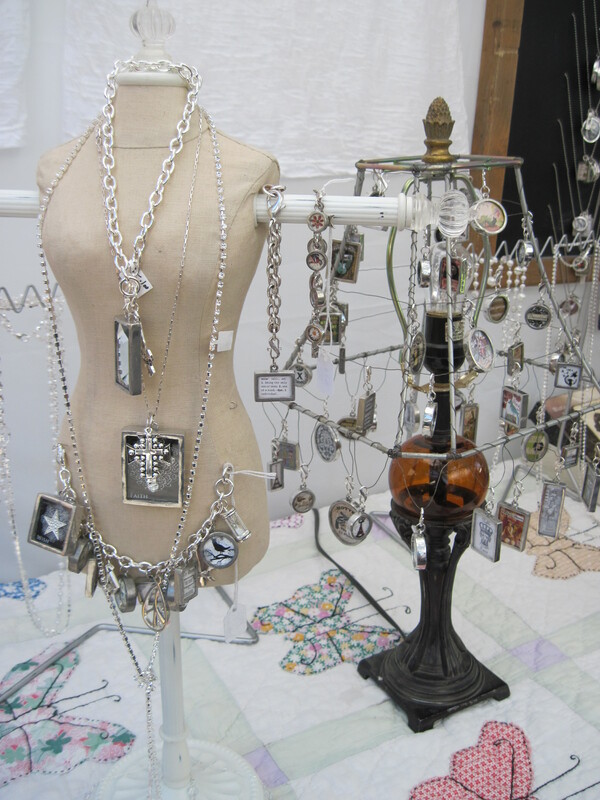 We’ve heard from lots of retailers that Jewelie’s a great point-of-sale display. She just might be the perfect way to turn on-the-fence-buyers into jewelry-purchasing-customers. One of the most frequently asked questions when we’re at market is: “How should we display Pick Up Sticks in our store?” It’s also the highest search engine term that takes customers to our blog. And because we’re in the business of helping retailers sell our product, we want to give you the chance to display Pick Up Sticks in the most profitable manner. That’s Judy and Jewelie. Now you have the chance to order Jewelie fully loaded. She’ll come with our best-selling two-sided bubble charms and photo charms, our 12 best-selling word candy, our 12 best-selling dot initials, our 12 best-selling trinkets and spacers and 20 assorted necklaces and bracelet chain. She’ll also be wearing our very popular logo price tags. Call the studio today to get the price on this great display value. Everybody needs Pick Up Sticks! Simply order, unwrap and display. And start selling! Pick Up Sticks. We hope you associate the company name and this blog with our continuing search for ways to help you make your business a screaming success. That’s why we do this – we want to give you ideas that help you sell, sell, sell. And that’s why we now offer our loaded Judy in our catalog. And why we throw in the mannequin for free. Nothing. Nada. Zero. Null. Zilch. 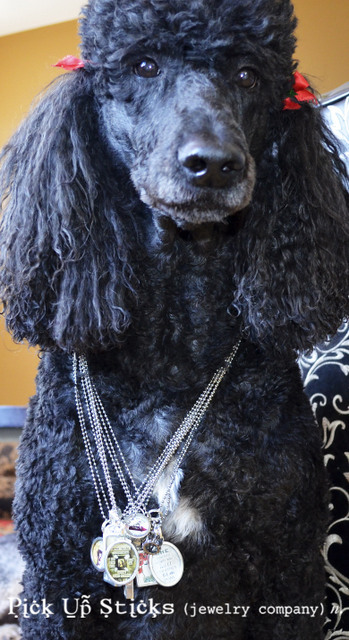 We do ask that you pay for the charms and trinkets and necklaces she’s wearing. But the mannequin and the ribbons that separate price points and the approximately 12 hours of studio labor to load her up? Free. “Who’s Judy?” some of you may ask. Do a search of the term “Judy” in our blog archives and you’ll find several posts dedicated to her. 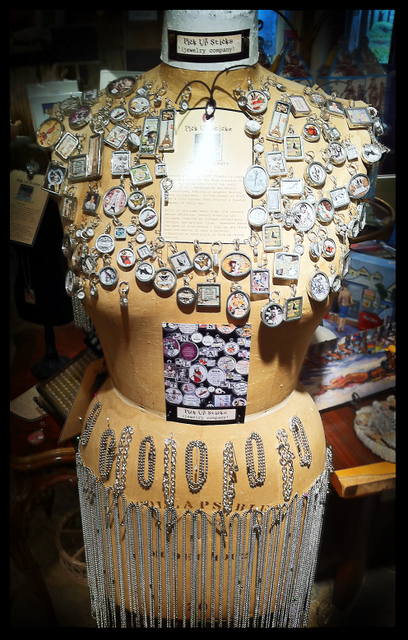 She’s our “loaded-with-Pick-Up-Sticks,” looking-gorgeous and selling-jewelry-like-crazy Mannequin. 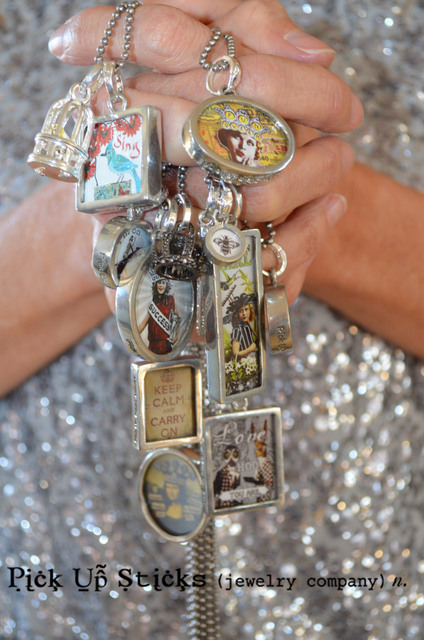 We introduced her about six years ago, dragging her to market all dressed up with every photo charm, trinket, and chain we create, as well as the top 12 of our initial charms. We thought she was a fun display. And then customers started asking if they could take her home with them. Immediately. 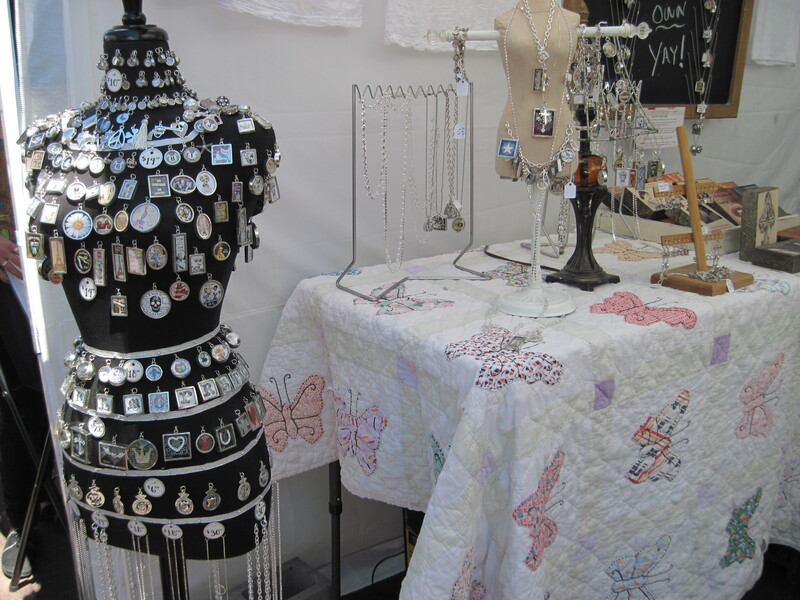 What we found was that Judy was a sparkly-girl, catching the eyes of passersby and creating an entirely new kind of excitement in our market booth. 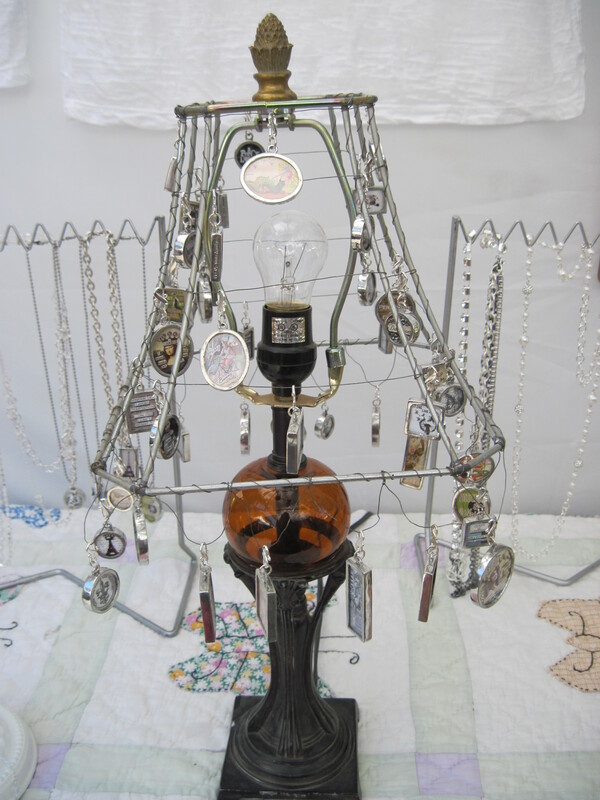 And our retailers who bought her told us that she created a fun forum where customers could see a wide variety of jewelry, touching and turning Pick Up Sticks every which way, laughing with their friends at our designs, choosing two or three charms and trinkets and necklace combinations in the process. What we found was that our Judy sells. In fact, a number of our current Judy orders are from retailers who ordered Judy in the past. She’s been so busy that she’s worn out and they need a replacement. And the best news is that now you don’t have to wait until market to get your’s. She’s in our latest catalog, just waiting for your order. How good is the deal? If you order a pre-pinned Judy right now, you’ll get the mannequin free (Yes, we’ve already said that, but it bears repeating. She’d cost you $120 if you ordered her separately). You’ll also get the expertise of the girls in the studio pinning and ribboning her so that she’s an eye-catching sales genius. That alone takes 2 girls 6 hours, so in addition to the mannequin form, you’re getting 12 hours of free labor. And you get our exclusive logo price tags showing the price for each separate category of jewelry. Don’t want all the chain? We can leave that off and you’ll be charged less. Since we can’t really reveal our wholesale prices here, please feel free to contact the studio for prices. One thing you don’t get? All 26 initials, because we know that some of them are hard to sell. 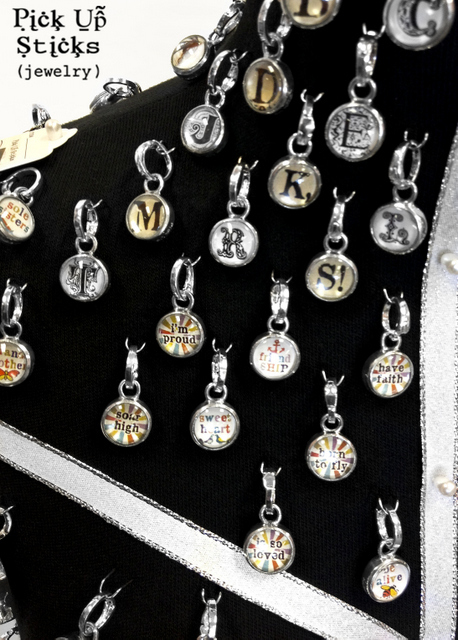 We only send you the 12 top selling initials from each of our initial lines. We know that getting customers to make a purchase is tougher now than ever. That’s why we promote our Judy. She sells, she adds interest to your retail space, and customers love her. What more could you ask of a pretty girl? We know there are some incredibly interesting jobs out there, jobs that we’ve all dreamed of. Secret shopper for Neiman-Marcus. Rolling Stone reporter assigned to hang with Jay-Z and Beyonce. Taste tester for Ben & Jerry’s. Ski instructor at Aspen. Personal Assistant to Bradley Cooper. Those are all good, right? Yeah, we’d like one of those. We’re pretty sure we could be VERY helpful to Bradley Cooper. But since we don’t get to hang with celebrities, we’re going to go out on a limb and say that working at Pick Up Sticks is pretty crazy amazing. It’s never boring, it’s creative, it’s relaxed, and, honestly, it’s almost always fun. Here’s a quick look at what we do all day, some days. Other days we sit around the studio and brainstorm while eating taquitos from The Foxy. Just another job hazard – great New Mexico fast food. The above photo is Candace and Leigh dressing Judy up for her wholesale show debut. This is just one example of how we load her with Pick Up Sticks. . .we’ve seen lots of different pictures of our customers’ own Judy and we’d love to see more. If you’ve perfected the Judy-loading method, let us know your secret. As far as we can tell, you’re all doing a great job of creating your own beautiful versions. Ever wondered how the “pulling and checking” process works when you order? This is Leigh checking an order she’s just pulled from the stacks of bins of inventory behind her. Those bins hold every single charm in our line. Leigh picks up the order from our fancy printer, walks to our “Walls of Bins” and removes all your charms from their assigned bins. 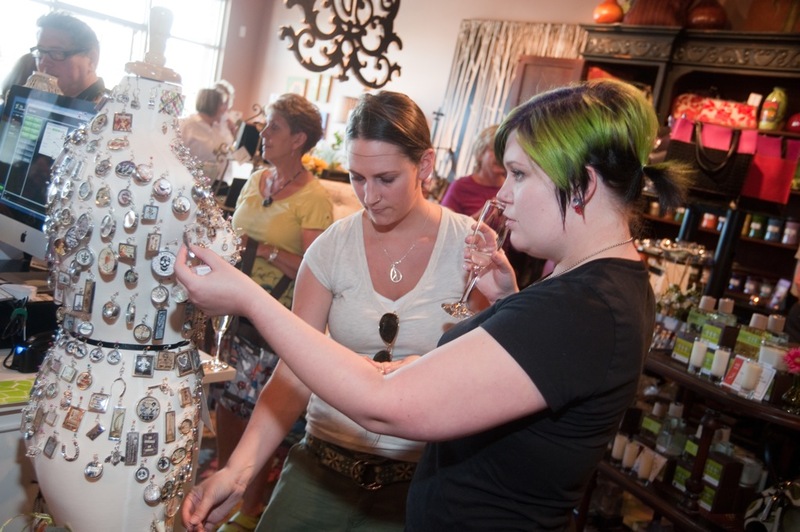 From there, the charms and trinkets go through a two-pronged cross checking process. Leigh and at least one other Pick Up Sticks girl look over your order to insure that it’s shipped to you as quickly and accurately as possible. Check out that great orange wall. We are all about color and whimsy at Pick Up Sticks. Here’s a glimpse of Candace at the heart of the studio, on the phone, typing an order. Behind her is our handy-dandy fancy printer that basically does everything except pick up lunch from Twin Cronies Drive-In (more of that New Mexican fast food). It not only prints your typed, emailed, or faxed orders, it prints our catalogs, the post cards, bio cards, images for studio use, AND your order forms (whew)! It is possibly the hardest worker in the studio! By the way, Candace is wearing the 30” Small Link Chain with a AN058 Grow Strong Charm. Judy isn’t the only display that gets a face lift before a new show season begins. The display boards have to updated with all the new season’s designs. Glena is somewhat of a p-touch (label maker) guru, so she get the boards measured, p-touched and ready for Candace and Leigh to pin all the new charms and trinkets on the boards. Here’s Candace attempting to organize the board that holds the potential/proposed new trinkets. This highly systemized process (most days) is studied intently and rearranged daily to make sure we’re creating the perfect trinkets to go with all our photo charms. How are we doing with that? And finally, here we share with you the highlight of our day. Leigh (lucky Leigh) is handing your orders over to our favorite FedEx driver(eat your hearts out ladies)!!! We didn’t get a chance to include a picture of Treyla in this post, but plan to do an entire blog post introducing you all to her soon. Hopefully she’ll agree that working at Pick Up Sticks is almost always entertaining and interesting! We love what we do. Now if we could just get Bradley Cooper to drop by with a couple of pints of Ben & Jerry, life would be perfect. 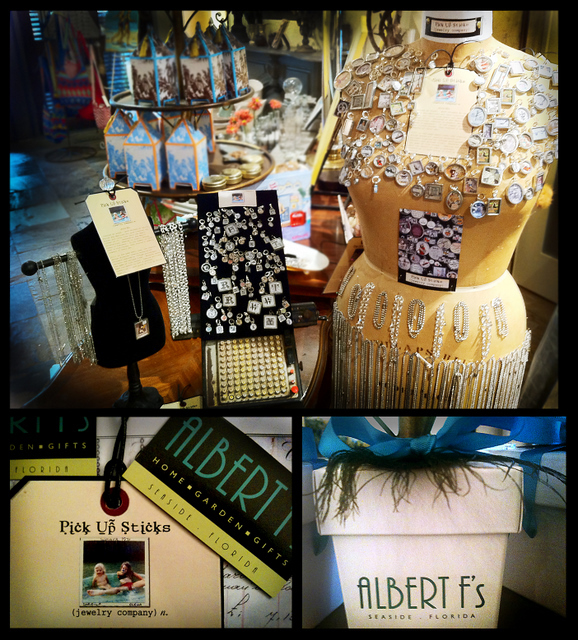 Pick Up Sticks is proud to announce Albert F’s of Seaside, FL, as the November Retailer of the Month. Albert F’s of Seaside is a tiny jewel of a boutique in the resort town of Seaside Florida located on the beautiful panhandle of the state. Located in Seaside’s Ruskin Place Artist Colony, Albert F’s was opened by Brad and Holly, native Nashvillians, in 2000 after they made the move to the beach. Since opening, Albert F’s has grown, changed and always embraced the arts. Out of the shop, Brad and Holly provide interior design services along with a full array of gifts for him, her and the home. And Holly is quick to say that Pick Up Sticks has consistently been a best seller in the store regardless of the season. They love the vintage look of the designs, as well as, the mixture of humor, sweetness along with the mix and match ability of the line. They also love the story behind the product. “It’s clever and true,” Holly says. Here’s what Holly told us about merchandising Pick Up Sticks: “I have tried many display options and the mannequin option is far and above the best way to display PICK UP STICKS. 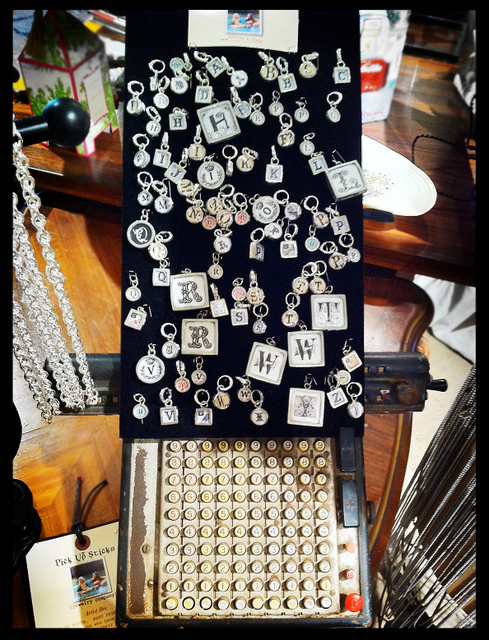 Along with the mannequin, we have a table with a “Jewelley”, a silver tray and an antique adding machine that we placed a velvet pad on with all of our initial charms. “It’s always good to have a few made up items as examples. 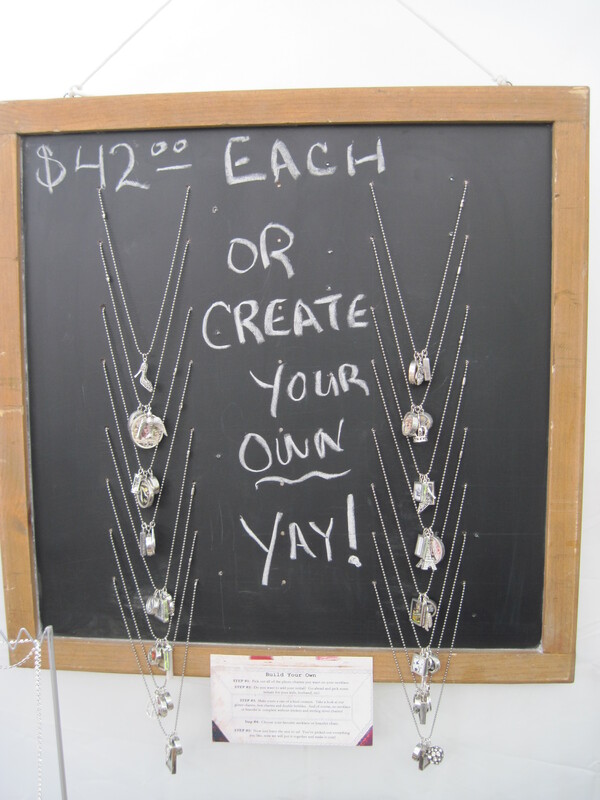 Then encourage shoppers to get in there and make their own custom piece of jewelry. 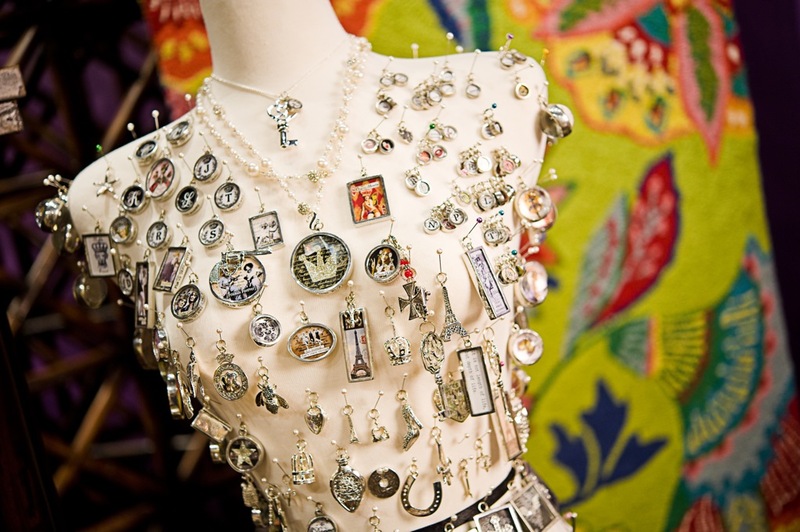 I have also found that it is important to have more charms on display than you really need to have. MORE sells more. We’re thrilled and honored too. Good work, Holly! Holly says Pick Up Sticks has added a happier and sweeter mood to the store. She’s shared lots of giggles and smiles with people as they “play” with the charms and accessories. Find Albert F’s at www.albertfs.com, and at 209 Ruskin Place, Seaside, FL (800) 974-5203. 1. It’s the boyhood home of our 7th president, Andrew Jackson. 2. It’s nicknamed The Red Rose City. 3. It’s the home of Lancaster Jewelers. 4. It’s withstood 2 American wars – the Revolutionary and the Civil War. 5. You can shop at Lancaster Jewelers! Did we mention Lancaster Jewelers twice? There’s a reason. We think they’re fabulous, and they’re Pick Up Sticks Retailer of the Month for March. You can find their very versatile jewelry and gift-filled retail store at 1548 Great Falls Highway (803-289-1100, www.lancasterjewelersonline.com). So now you know. Lancaster, South Carolina, is a great place to visit for a lot of reasons. We think stopping in at Lancaster Jewelers should be the first activity on your list. Be sure to tell them we sent you! Porch. Just the name implies comfort and conviviality. At Pick Up Sticks, we’re small town girls. Grew up in rural Quay County, New Mexico. We know all about porches and about the importance of community and connectedness that porches provide simply by being a place where one can casually gather and, as our grandmother Ruth might say, sit and visit for a spell. That’s why we’re so excited to introduce our November Retailer of the Month: Porch, in Rockford, Illinois. Debbie at Porch has always been one of our favorite retailers – she comes to market with news about what’s working in her store, she makes display suggestions, and then she asks us for the same. As her store name implies, she’s all about graciously sharing conversation, comfort and ideas – her positive give and take makes our work much more fun. We encourage this kind of give and take, because it’s a huge advantage for Pick Up Sticks and our other retailers. When we asked her what comes to mind when she hears the words “Pick Up Sticks”, she said “PROFIT!” We like that answer. And she says she picked Pick Up Sticks over other photo-based jewelry because of its superior quality. Porch is known for having unique lines that no one else in the area carries. Debbie says retailers really need to have a Judy mannequin. 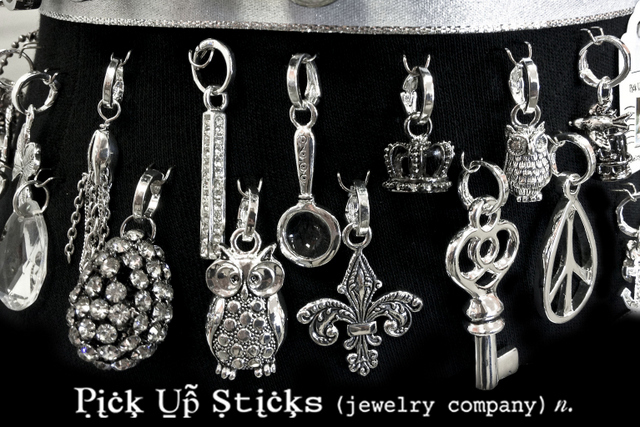 “When customers see that loaded with charms, they assume it’s a popular item and want it for themselves. The dollars you invest are directly linked to the dollars you’ll sell. The more the better.” Her Judy lives on a tabletop, sitting on a turntable purchased at Bed, Bath & Beyond, where customers can spend as much time as they want admiring their next charm. Find Debbie and her Pick-Up-Sticks-wearing staff at 3065 North Perryville Rd, Rockford IL 61114, (815-282-8881). Congratulations Debbie, on being our November Retailer of the Month! We love our retailers! 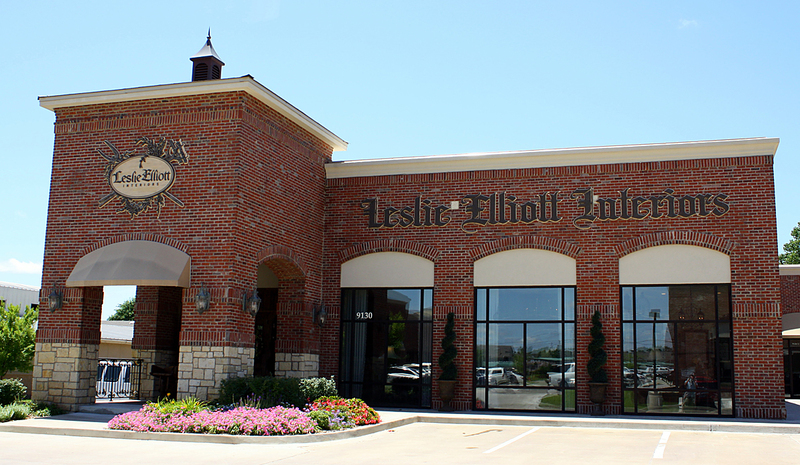 And this month our Retailer of the Month is Leslie Elliott Interiors at 9130 S. Sheridan in Tulsa, OK (918-622-6562). Leslie started her business as a design showroom and design firm 20 years ago, adding retail space 10 years ago. 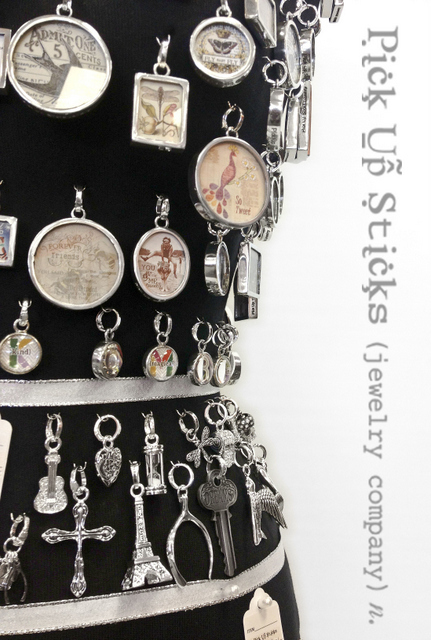 Her best advice to retailers is to place your Pick Up Sticks display near the cash register – given that this is an add-on line, returning customers especially seem to love to add a charm or trinket to their ticket as they’re checking out. 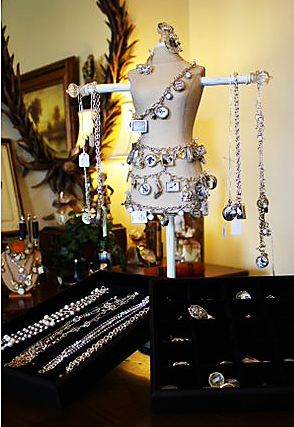 Her clientele likes the timeless classic look – the two sizes of key trinkets seem to sell best at Leslie Elliott. She thinks that Pick Up Sticks has added a new level of excitement to her customers’ shopping experience. Generally a design store may require that orders be placed and customers wait on the item they’ve chosen. Leslie’s customers like Pick Up Sticks because they get instant gratification by being able to take home something they love. 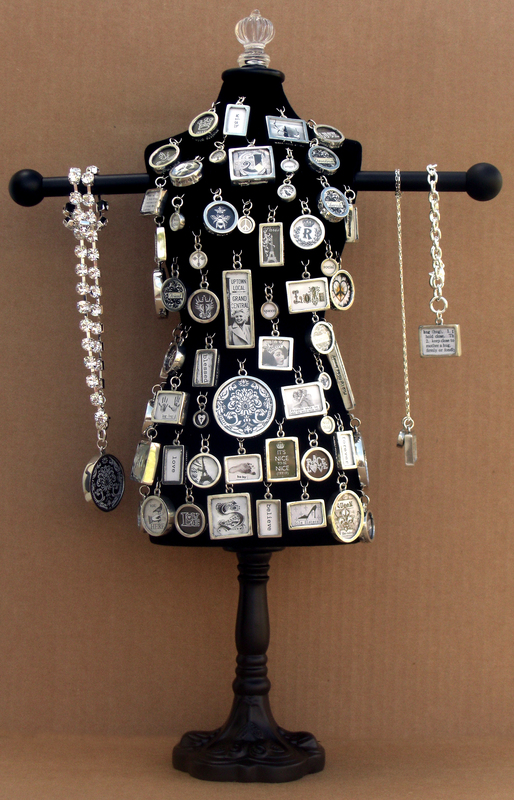 It works well for her to keep several of each charm, trinket and chain in stock so that her customers are happy and don’t have to wait for an order to be filled. Her customers love that, even if a particular Pick Up Sticks design is out of stock in the store, they can special order and receive it within 3 or 4 days. Leslie says the same. When asked what we could improve about the line or customer service, she praises the accuracy and quick turn-around time of the orders. You can find Leslie Elliott online at www.leslieelliottinteriors.com. If you’re in the neighborhood, be sure to stop in and congratulate her on being chosen as our Retailer of the Month for September. 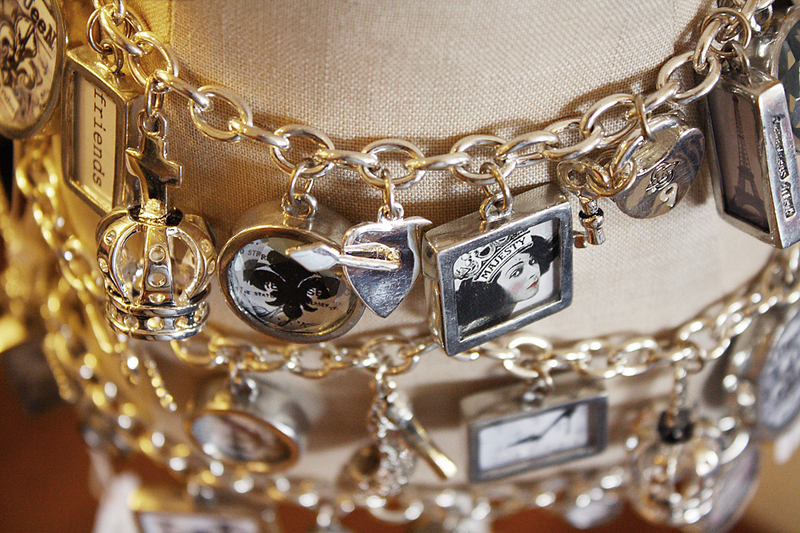 And check out those charms! There’s a new girl in town – she’s sweet, sophisticated, and very cute! We call her Jewelie (she was named by a Facebook fan in a contest), and like to think of her as Judy’s little sister. After years of having countless retail customers ask where they could buy the bust forms we use for tabletop displays at market, we decided to put our heads together and create our own. 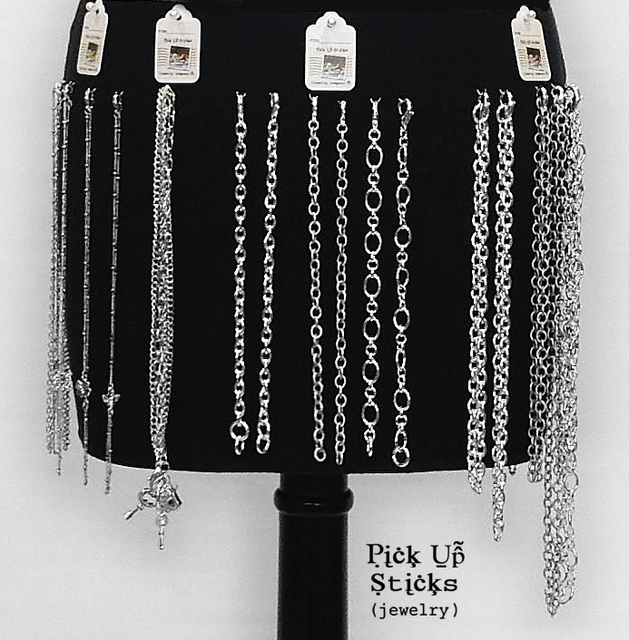 You’ll be happy to know that you can now order your own Jewelie directly from Pick Up Sticks. She’s got a solid foam core, making her perfect for pinning charms, and her beautiful arms will hold several assembled pieces. Her vintage look will complement your Pick Up Sticks collection, and she takes up very little space. Call the studio to order your’s today. We’re sure she’ll make heads turn! Every month retailers send us new ideas for displays that we love to share – take a look at these fun and funky retail show displays we saw in Santa Fe recently. And PLEASE feel free to send us your own! Drill holes through a chalkboard and hang necklaces! The Purple Poppy celebrated its grand opening on Friday, May 28th, and with that opening, Lafayette, Colorado gained a unique boutique that caters to customers who are interested in an eclectic mix of fine home furnishings as well as an inspired selection of jewelry, clothing, stationery, and novelty items. Nestled in Lafayette’s Atlas Valley Shopping Center, local owner Angie Radawicz has brought together a distinctive collection of hand-painted, solid mahogany furniture, unique and fun lamps, colorful rugs fashioned from New Zealand wool and a wide variety of fun things “My inspiration for opening the Purple Poppy was fueled by my own desire for the type of products we carry, and the lack of a venue in Lafayette that served these tastes, said Angie Radawicz. “As I selected the items that define the Purple Poppy, I also took care to see that customers of all ages and budgets will be able to find something they love”. Thanks, Angie. 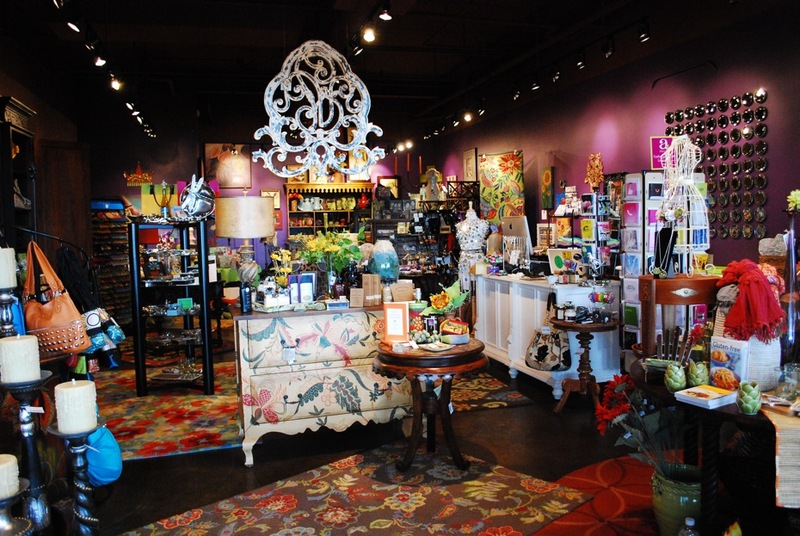 Now doesn’t that make you want to spend an afternoon wandering through the Purple Poppy? Us too!